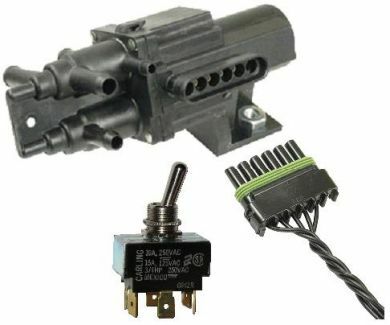 Pollak, 6-Port Fuel Selector Valve with Switch - Welcome to Oilybits U.K.
Genuine 'Stoneridge Company U.S.A.' Pollak Valves - Oilybits now have official U.K. Distributor status! Photograph below is of a fully installed and working Pollak valve... this was the installation on our Grease to Greece Rally Car, and incidently the Pollak Valve was about the only part of the car which did not leak or go wrong!